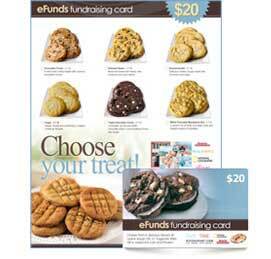 A coupon book fundraiser is easy to run and profitable too. This consists of selling valuable booklets containing special discounts from national and/or local merchants. Some will contain pages with valuable information along with the discounts. The books can be immediately sold to raise money for non-profit organizations of all types. A savings book like this can provide a number of discounts valid for one year or sometimes more. Thus it has good value for the money that your supporters spend on it. And these days people are more cautious about spending money – they want every penny they spend to go further. And you remember what Ben Franklin said, right? Savings booklets can be self-compiled by following some simple instructions. Your organization can make more money this way since you won’t be sharing revenue with another company. First, collect some unparalleled local offers from businesses in your area. 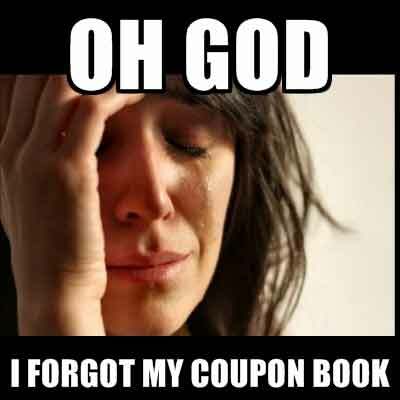 Remember, a great coupon book comes with a bunch of valuable discounts to give maximum value for your supporters/customers! Buy-one-get-one (BOGO) or 50% off discounts work great if you can get them. Next, get a local printer to assemble the booklets to make them look professional. A poorly printed book won’t inspire confidence from potential supporters. Selling the books to your supporters. 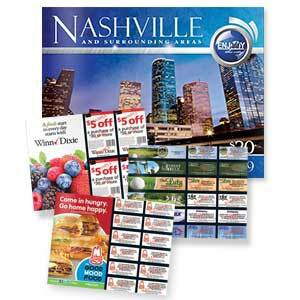 Raise money and save money in your city with these cool coupon books. 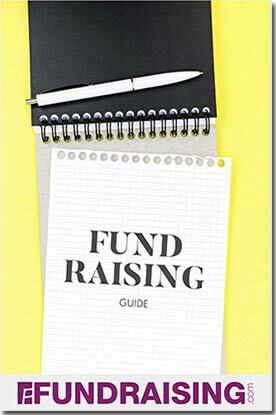 Fundraising.com offers their highly profitable “Enjoy the City” book that gives your supporters excellent savings in their own neighborhoods. It has something for everyone: from restaurants, to sports and recreation, entertainment, and popular services. Your group will enjoy fast, easy sales without any door-to-door selling, and earn 50% profit on every book sold. These popular books are released for sale in over 100 metro areas in the United States (see list below). Many of the coupons give 50% off discounts, or carry “Buy one-get one (or more) Free” offers too. For those who like eating out, this is a great way to save money and try new restaurants. The offers cover fine dining to fast food, and any variety of cuisine they may choose. Coupon books and cards also really act as a money saver to help a family struggling to meet its daily expenses. Some give discounts at grocery stores, movie theaters, hotels and lots of restaurants. Some families can save over $200 using a savings book like this that they can conveniently buy through your coupon fundraiser. The benefits offered by selling pre-made books and cards are multidimensional: No upfront cost, which means instant profit for fundraisers and pay only for what you sell. Some offer free prize winning programs to boost the enthusiasm of your volunteers and reward them, providing a lucrative activity to the supporters, and much more. You sell these cards, valid for top selling items and your supporters redeem them for delivery right to their door. This is a special kind of card that gives your supporters the option to buy treats from a select list of bestselling items. Your supporters can redeem them online or by phone, and they’ll receive their orders directly to their door. These are becoming very popular because you don’t have to carry around and deliver a bunch of products to everyone that you sold the cards to. It’s all done for you. 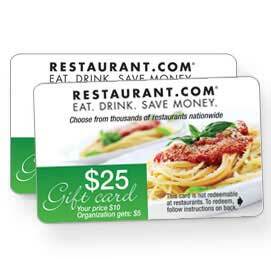 This new fundraising program lets you offer your supporters a valuable gift card, which is redeemable at thousands of restaurants across the US. One idea that my womens group came up with was a coupon book with a variety of services. Believe it or not it worked! We offered items such as babysitting, cleaning, car washing, a day of errands, etc. I’m not sure that it would work for everyone, but depending on the cause, I’m sure it would be worth a try. We were raising money for a family that lost everything. We sold the books for 25.00 and raised 2000.00. The key was to appeal to those that lead busy lifestyles and needed help. There were some people that didn’t have family nearby or possibly unwilling or unable to babysit. For them, it was great to be able to go out without worrying about getting a sitter, or trusting someone they didn’t know. Baseball season rolled around in Cave Creek, Arizona and it was time to raise money for the season. High School budgets simply do not have the funds to get the extra uniforms or pay for assistant coaches. Our coach cam to us with coupon books that had coupons for lots of valley restaurants and activities. The books were to be sold for $20 by opening them up you could see there was potential to save hundreds if you used the coupons. To motivate the players we were told for every 10 books we sell we are able to keep one book for ourselves. With the booklet that you kept you could sell to make money, that was the incentive. The key to our selling was location, we went to the local supermarket and asked there manager if we could sell booklets outside there store. They approved so we stood outside and asked people if they could help our team. I personally sold 35 books and my partner did as well. It was a great experience. I highly recommend coupons because people can always use them were if you sell a candle people aren’t getting there money back on it.